Landr mastering service. What is it about? It is already 2018, and we hear more and more about artificial intelligence (AI). It is inevitable, that one day robots will compose music, draw pictures, do other arts and become smarter than humans, but is this happening already or we need to wait a little bit? Apart from numerous “creative robot” experiments we’ve got a new AI music service called "LANDR mastering" not that long ago. It is automated mastering algorithm. The difference between AI and regular processing is machine learning. LANDR analyses a lot of music content, trying to figure out what to do with your track. Now let’s talk about mastering. Is it a purely technical process or there is a creativity in it? It was discussed many times among industry professionals, and the average answer is ”yes”, but it is about 10%. I agree with that statement, but the most important is to understand music, you are trying to master. For example, how much low-end punch or aggressive mids to have in heavy metal track? Here we come to a critical dilemma. 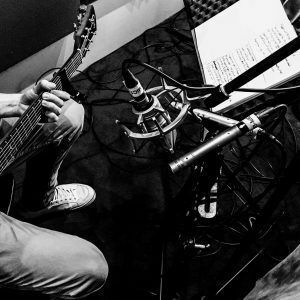 When the machine analyse music content by frequencies or loudness, comparing to other tracks, does it ”think” about the meaning of words or where the chorus starts? 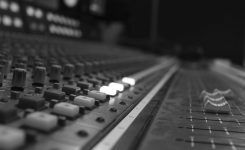 An experienced mastering engineer will put his hands on balancing and dynamic variations between parts of the track to have the right conceptual and dramatic perception at the end. Is the machine capable of doing that? The other part of mastering is fixing technical issues with the track. 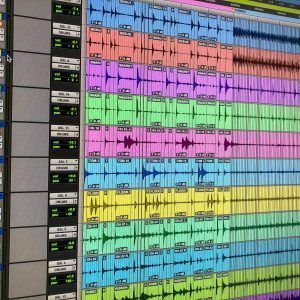 If a mixing engineer missed a click or two, left after editing vocals or drums, LANDR would ignore it. Solving this type of problems is still the job for a skilled human. I am not against LANDR mastering or similar services. ProTools Expert team did the test of some of these services, and they are not that bad at all. Human engineer won by just 4% over the machine, which is a great result for online mastering platform. 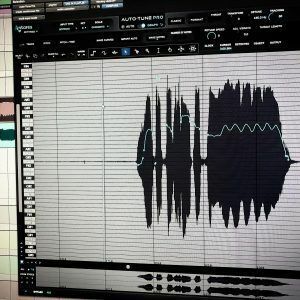 Just don’t expect AI to be creative and pay much attention to your track concept. They might probably be better than you doing mastering in your bedroom, no doubt, but human-mastering-engineers will probably wait to get retired. The last but not least is hidden in the core of the AI, performing mastering task. It makes decisions, based on existing materials, making no progress for the industry in general. We would never get abstract or impressionist paintings if we were taught to draw with a ruler and pencil. If you are aiming to stand out from the crowd - get a mastering engineer! What did you take away from this?